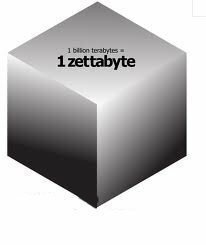 A zettabyte describes a unit of data or information that is equal to 1,000,000,000,000,000,000,000 bytes. The term is equal to a billion terabytes and the symbol ZB represents it. Zebibyte (ZiB) describes a measurement of data using the power of 1024. 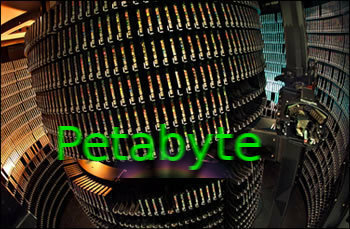 A single zettabyte is equivalent to 1,024 exabytes and is used prior to the yottabyte unit of measure. Due to the zettabyte’s large size, it is rarely used in industry to describe data storage or network throughput capacity. Over the past year, the total amount of global data stored exceeds a single zettabyte of information. To put the size of the term in perspective, the conversations of all human speech ever stored would be approximately 42 zettabytes in size if digitized at 16 khz and 16 bit audio. Another way to look at the sheer volume of a zettabyte would be to examine the amount of data sent on Twitter. If the past year’s worth of twitter data is added up, it would take approximately 100 years of this same data rate to equal a zettabyte of data. With the exponential growth rate of network throughput capacity and data storage technology, however, how consumers perceive a zettabyte today may be similar to how the gigabyte was perceived just 15 years ago. 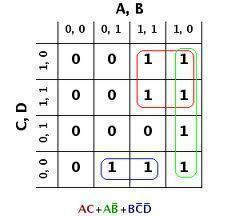 What is a Karnaugh Map? 88 queries in 0.276 seconds.